We trace our roots back to 2014, when two young Nigerians started Penpreneur, a writing and consulting firm. The mission was to introduce writers and experts who fashion professional solutions for clients who don't have the time or proficiency for organised writing, helping them - the clients overcome their challenges and meet looming deadlines at work, school and in other business endeavors. 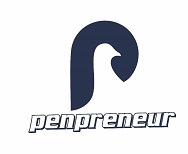 In 2014, Penpreneur was founded in order to provide comprehensive writing solutions and consultation. The company business name registration was concluded in August, 2017 and became recognized by Corporate Affairs Commission (CAC) through the promulgation of the Companies and Allied Matters Act . Since 2014 we have built a company that has made a difference to people's lives. Penpreneur is an intellectual veer off a number of ventures Collins Ikemefuna and Tobi Kuti have spawned since they met in 2014. On 30th June, 2015 when they brought #EpiphanySeries to the eyes, ears and hearts of thousands of followers, the project started out merely as an idea to entertain at the time, but fortunately went on to become a tremendous hit for ardent blog readers and radio listeners both home and far abroad in countries like Europe, America, Kenya and South-Africa, educating and ‘illuminating’ redundant youth and even older people far beyond even the progenitors initial target. The founders embarked on individual development journeys by participating in advanced skills acquisition courses, masterclasses and symposiums which further exposed them to vast cosmopolitan methods in writing and IT mastery. The accolades and awards garnered at their various places of employment such as 'Best Community Empowerment Project' are laudable testimonials to the growth of the co-founders of Penpreneur. The firm began the business name registration process and became established by the Companies and Allied Matters Act of the Corporate Affairs Commission of the Federal Republic of Nigeria in the fourth quarter of 2017. Penpreneur™ is registered and incorporated in Lagos, Nigeria in August 2017. We have since helped almost two hundred job seekers, budding entrepreneurs, project directors, students etc., in sourcing uber-professional writers who offer writing solutions to people who do not have the time or verve for writing and doing clerical work.